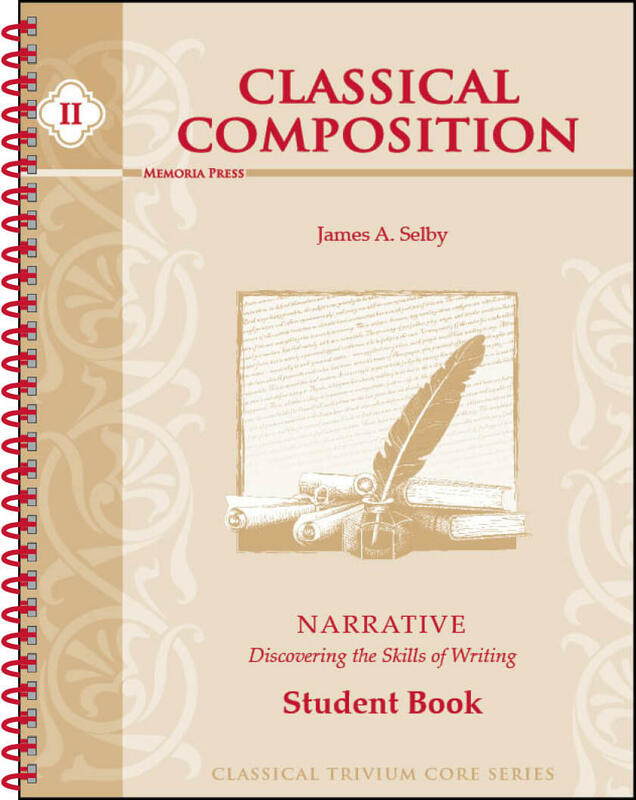 The Classical Composition II: Narrative Stage Student Book contains the student exercises for the Narrative Stage of Classical Composition series. 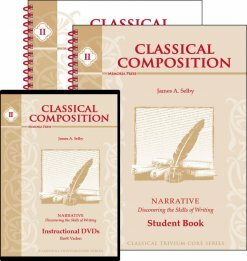 Buy any two Composition Sets with DVDs and get a reduced package price of $120. Use the coupon code: CCSET at checkout. With the Classical Composition II: Narrative Stage Student Book, students continue to build invention skills as well as the ability to engage the imagination of an audience. They master the structures of thought that originate narratives and learn to create recognition by using figures of description. They develop the ability to communicate the same idea using a variety of words, sentence structures, and various perspectives. What if you could teach your child using the same writing program that produced such masters of the language as John Milton, William Shakespeare, and Benjamin Franklin? 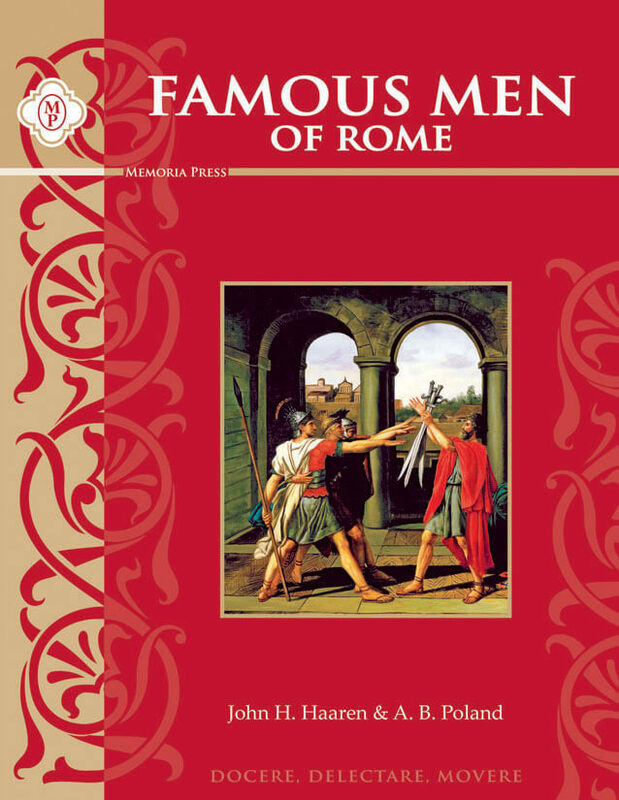 What if you could have the same composition curriculum used by Quintilian, the greatest teacher of ancient rhetoric, and Cicero, the greatest persuasive speaker of all time? 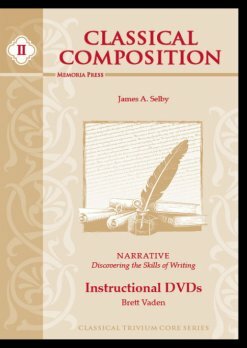 Jim Selby has blown the dust off the writing curriculum that was used in schools for over 1,500 years and put it in an easy-to-teach format that will revolutionize your home or private school curriculum. 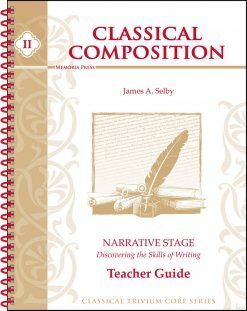 Presented clearly and systematically in a structured curriculum, Classical Composition will give you a clear road map to writing excellence. Ancient writers invented a way of teaching writing known as the progymnasmata, which provided a method of teaching composition that not only taught budding writers a disciplined way to approach communication, but also helped them appeal to the heads of their audience. The progymnasmata gave them the stylistic tools to appeal to their hearts as well.